Notice the lack of Sizemore there? Yeah, he is on the disabled list for a knee injury. He has had a slew of injuries, keeping him far, far away from him prime playing days. I hope he can get (AND STAY) healthy. On the other hand, if he can't, the Indians rally need to consider other directions for him and the team. Speaking of other directions, the Tribe released Jayson Nix to the Blue Jays. Somehow, I see a Joe Carter moment here. Though Nix did not do well in the Spring for the Tribe, I see him maturing into something of a force to be reckoned with. Of course, I have no basis nor track record with these things. Oh wait. Yes I do. Can you say Jim Thome? eTopps announced that T-206 cards are back for 2011. Does this make you excited or does it make you sick? It fascinates me that a brand can do more to polarize the collecting hobby than to help it. Collectors either seem to love the eTopps cards or they hate them. And, perhaps that isn't quite right. I'm sure many collectors like the cards themselves, but can't stand the manner in which the cards are produced and distributed. eTopps cards are released in an "IPO" setting, where members buy potential copies of a certain card. 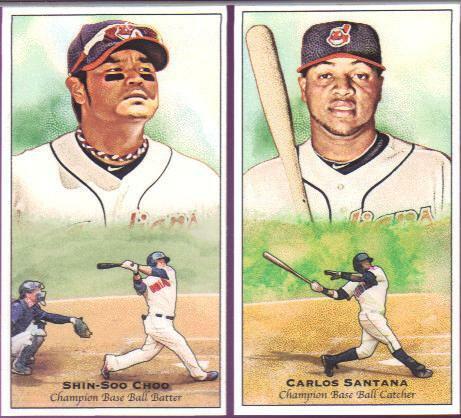 For example, eTopps releases a Shin-Soo Choo card. The print run is known at the time of the offer. Let's say the print run is 750 cards. Potential buyers know there are "only" 750 of these cards in the world. eTopps sets an offering price (say, $7.50). Members put in bids for how many cards they would like to TRY to claim. So, let's say I put in a request for 3 of the cards. Why three? Because, buyers are not likely to get all the cards they ask for. eTopps uses an unpublicized method of distribution. It is a lottery of sorts. Supposedly, every buyer gets one card and then if there are more cards than buyer names, each buyer then gets additional cards based on some kind of lottery formula. In reality, though, some people receive multiple copies as others receive nothing. It is a flawed system that has been in place (though tweaked) since eTopps first came out 10 years ago. Once cards are bought and distributed, owners can sell or trade the cards. Ancillary sales are done through eBay. Some cards can reach $100 or more in the aftermarket. More likely, however, cards sold after IPO drop off the map and can be had for pennies on the dollar. The lottery distribution and the resale effects of the cards drives the polarization of collectors. It has been quite some time (probably a year or so) since I even put in a bid on IPO eTopps. I have learned that if there is a particular card I want, I just go to eBay and buy it cheaper than the initial price. Some cards (like some of the Bob Fellers) are more than the initial offering, but if it is something I want for my collection, then I have to decide if it's worth the asking price. Often times, it is not. At least not during baseball season. I have never seen anything like the seasonal price fluctuations that eTopps cards exhibit - baseball cards sell too high during the season then drop off dramatically once the season is over. Same for football, etc. One thing I forgot to mention about eTopps: Card owners can request delivery of the cards they buy. A lot of collectors leave their cards in the vaults of Topps. The theory is that Topps can provide a better environment than most collectors: temperature control, humidity control, lack of human interaction with the cards, etc. I prefer to add the cards to my personal collection, so I have mine delivered to me. To each his own, I suppose. So, back to the original question: Are you excited about T-206 coming back to eTopps? Do you collect eTopps? 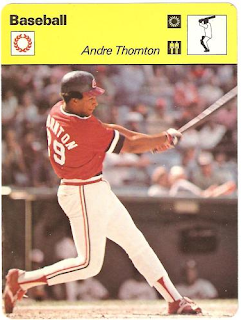 Between 1977 and 1979, collectors could subscribe to a series of multisport cards from Sportscaster. These cards feature large pictures, rounded corners, and measure about 4.5 x 6 inches. I have no idea what the little symbols (icons) mean, other than the one indicating the sport. This card reminds me of those animal cards I used to get in the mail every once in a while. The copyright info says: (c)1979 Edito-Service S.A., Geneva A, Photo Jerry Wachter - Focus on Sports, Printed in Italy, 03 005 53-07. After a little research, I found that the last two numbers (53-07) serve as the card number. The first part is the "series" number and the second is the card number within that series. The card backs feature a rather lengthy write-up about the player/item featured on the front. I picked the Thornton up on eBay on the cheap and snagged it because I had not seen these before. Now, if you want to see what the massive 2,184-card set entails, just head over to http://www.sportscastercards.com/ and take a look through an entire database of each of the cards produced in this collection. It's been a long time since I posted anything over on "A Pack to be Named Later." So long, in fact, that I wasn't even sure I was still a contributing member! Turns out, I am still allowed to share my thoughts on random packs. And, that is good news for you! I commented on the Cardboard Bandits Facebook page that I had picked up a pack of Heritage the other day. That gave me the idea to post the pack on APTBNL if someone hadn't already done one. Lo, and behold! No one had. 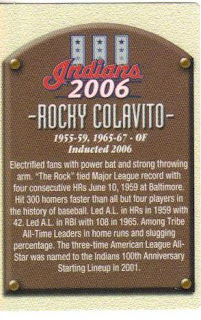 So, you can hop on over there and read about my first foray into the 2011 Heritage, if you're so inclined (or reclined, as many of us tend be as we read through our favorite card blogs). At the beginning of the show ("30 Clubs in 30 Days"), one of the analysts said (paraphrasing), "(The Indians are) trying to improve over the last two seasons of 90+ losses in each season." That says a lot about the state of the Tribe right there. Grady is getting healthier, Hafner is better, Santana is back. "30 Clubs" says the #1 problem: The Indians could not retain or keep their superstars: Sabathia, Lee, Martinez - all traded. Indians have a hole in their own minor league system. It will take the next year or two to rebuild. Acta's expectations are high for the team. Acta excited about what he saw in 2nd half of the season (4th in pitching, 2nd in relief). Young ball club (even Sizemore is only 27 but has 10 years in MLB). Brantley gets moved to the top of the order. Hopefully, this will help the Indians set up for scoring opportunities. Cabrera flies under the radar and may be the surprise breakout for the team, I think. Of course, Choo batting third is a great place for him. If no one is on ahead of him, he'll be stealing. I don't foresee many (if any) double steals this year. LaPorta has some potential this year, and I think he has got to step up this year to help the Tribe. Kearns is a nice addition, but I don't think he ever developed into the hype that surrounded him. 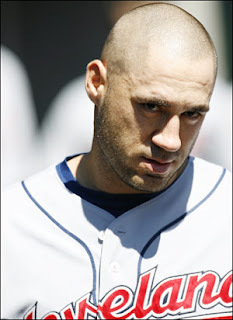 Hafner is as much a question mark as Sizemore. I am a HUGE Pronk fan, but I have serious hesitations and reservations about getting too excited with him in the lineup. I am cautiously optimistic. Chris Perez matures as a closer - "not trying to throw 100 (mph) every pitch anymore" - "I'd rather walk a guy than give up a hit... Because that's me; I know I did something wrong." Carmona is set to be the pitching day-to-day guy. I'm not sure if he has the gas to go all the way. I'd love to see him have a kickin' season, though. As for future prospects, I'm not even going there. I don't put much stock in such things. We all have stories of players that were to be the "breakout superstar of the club's future" only to see that same player disappear into the ether. I think it is a good thing that we have no "phenoms" lying in wait for the Tribe. Let's just do things the way they should be done: slow and steady, wait 'til they're ready. 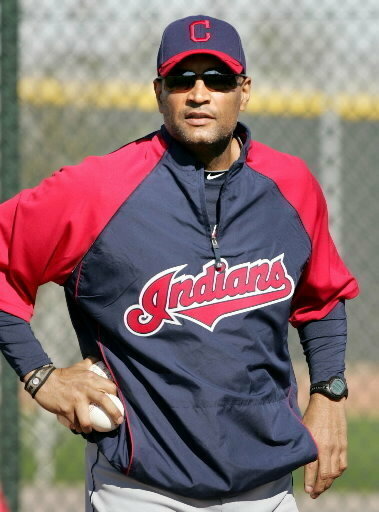 I think bringing Alomar Jr back to the Tribe as a coach (1st base) was brilliant. I think dumping Skinner was a big mistake (3rd base coach). 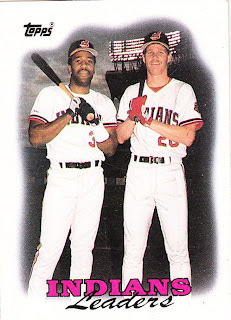 The commentators mentioned they thought Alomar would find himself a manager of a club someday. I have to agree, especially if he lifts the Tribe this year. What could the future hold? Well, Acta is in his third year of his 3-year contract. Could we see Alomar take over his role after this season (or in the middle even) should things continue to go south? Something to ponder, for sure. The MLB Network guys were surprised that Manny wasn't in there. He came close. But, thankfully, he missed the list. Granted, as a Triber, he was not really "the Manny" he has become and I was a big fan of his until he left. 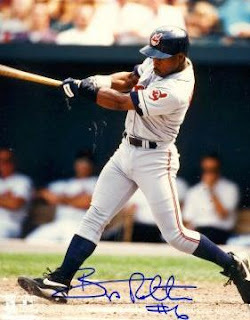 Of course, Albert Belle is in the lineup, and his antics are stuff of legend (infamously). My overall reaction to the show is summed up by the general feeling I got from the players being interviewed: reserved. None of the players seemed excited about the season ahead. None of the players came across as ready to get out there and take on the season. Instead, I watched an hour-long show featuring a team that looked afraid to say anything for fear of jinxing the whole shebang. On one hand, I understand that. On the other, I was hoping to see some life. Instead of the Heart of Rock-n-Roll, I heard the oboe barely breathing. Before I get to the last card in the mail, I just want to say that the "team cards" are ridiculous. They do not feature "the team" (as in golden days when the whole team sat for a posed photo), nor do they have a checklist on the back (am I the only one that misses team checklists??). I don't understand the prupose other than to fill out a team 9-pocket page, maybe. In any case, I do love the design this year. 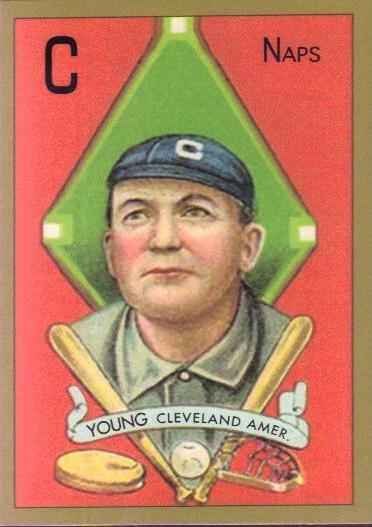 It's got a touch of "classic Topps" but didn't flat out rehash what's been done for the last 60 years. Oh yeah! 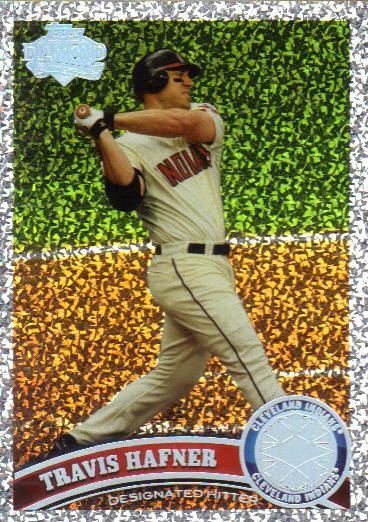 Travis Hafner Topps Diamond Platinum. This is shiny, sparkly goodness. I have not followed the general opinion of these from the collecting community, so I don't know what most people think, and I don't really care. All I know is that I am loving these diamondesque cards! To me, they represent what was ever right with inserts - clear player, cool background, readable text. Topps, ya done good here. I got the word that the Indians would be featured on "30 Clubs in 30 Days" Saturday night. Like a good little blogger, I set my DVR and planned to watch it and write about what I saw and what I thought about what I saw. And then, the Nationals and Yankees game lasted longer than it should have. My DVR recorded the 9th inning of the game. No "30 Clubs." UGH. Well, I can only hope to find the program online and watch it there (or hope for a repeat performance at some point). I can only wonder if the Tribe's 2011 season will be reflected in this moment. We shall see. "Bipping" has been going for quite some time in the card-trading community. For those new to the term, it occurs when one collector sends another an absurd number of Bip Roberts cards. If memory serves, it started out as a joke (or perhaps a Halloween 'trick') and has evolved into something of an art form. Now, you're caught up. "Gritz76" of Project1962 sent a tweet to Mr. Roberts (@Bipster10) himself regarding the practice, asking if he was aware of the happening. Bip responded, "I'm of aware of the "Bipping" that's going on out there and find it flattering in a good way." Now, *THAT* is a good sport! Manny Acta announced that Pronk may be one of a dying breed - the "DH-Only" player. While I agree completely that the days of DH-Only players are numbered, I have to question Acta's motivation for bring such a thing to light. Hafner has a long and storied history of injury ever since he walked into the Bigs. I understand that the Indians have to try to keep him playing as much as they can without putting him into a position of hurting himself again. I would guess that Acta's concern is the lack of playability among the "new, young talent" the Tribe has this year for the role of DH. Basically, the Tribe has no choice but to use players in as many positions and roles as possible. I wonder, though, if the message behind the message was a warning to Hafner and Indians fans: Hafner may be in his last season with the Indians (or anywhere, for that matter).